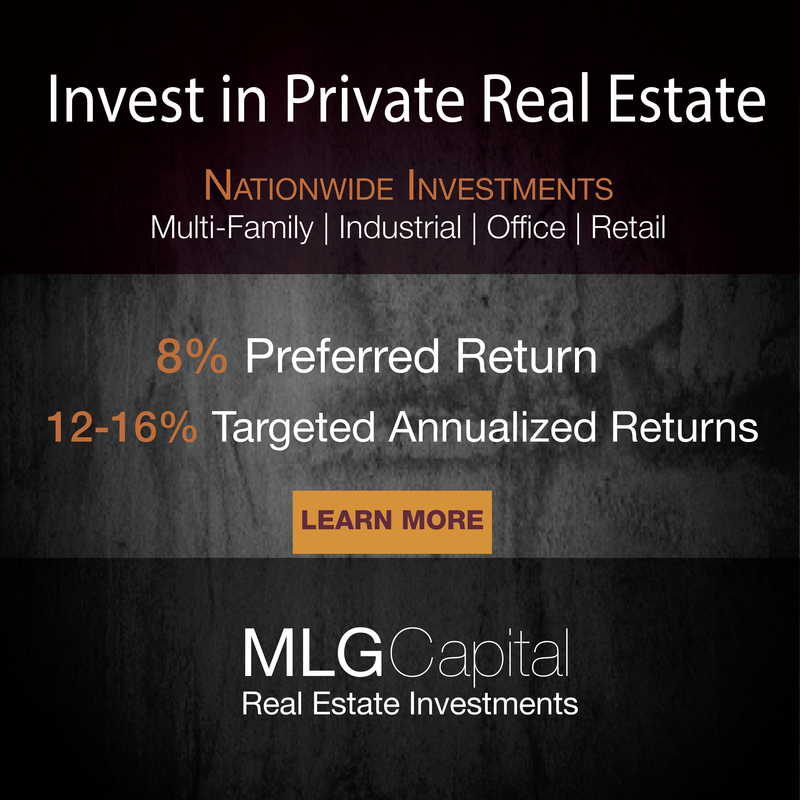 Real Estate Crowdfunding has made access to private real estate deals so much easier. The problem is that with this ease, investors often cut corners on due diligence. In a great market, this might work out, however, in a tough market this lack of due diligence could result in some serious issues. I believe that deep due diligence is absolutely necessary for every deal no matter which platform you find them on. Yes, those platforms have already done their own vetting, but as an investor, you should do your own as well. So, just how do you perform this due diligence on your own? Well it takes knowledge and experience, both of which take time to acquire. For that reason, I can’t talk enough about how to vet deals and sponsors on this site. I also like to talk to the professionals from time to time to see what tips they might have to offer since they’re seeing hundreds of deals come across their desks every month and only allow a small percentage onto their platforms. 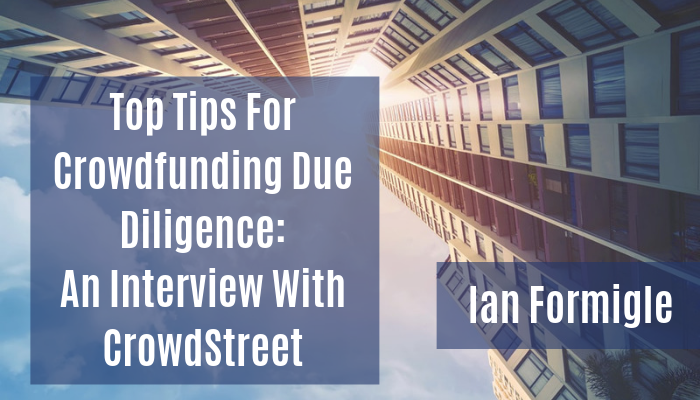 In this case, I asked Ian Formigle, the Vice President of Investments at CrowdStreet, to offer up his thoughts on the current market, due diligence, and red flags. 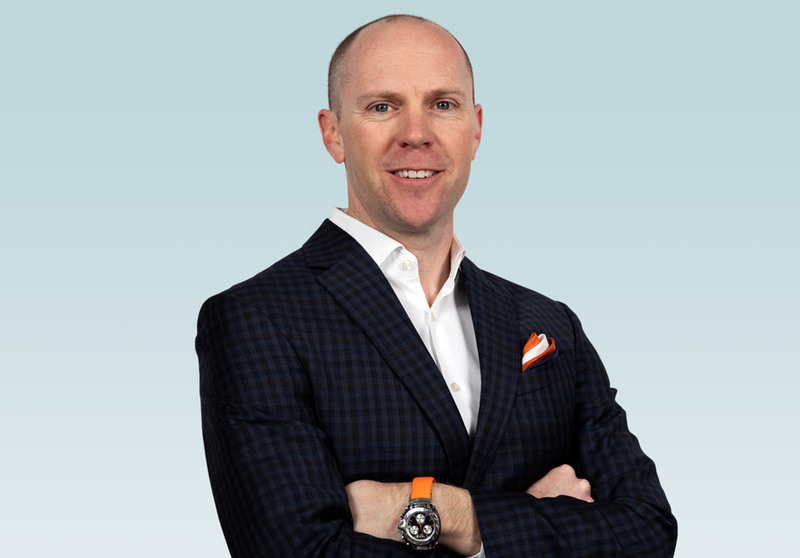 He oversees the company’s online commercial real estate investment marketplace with almost two decades of experience in real estate, private equity, startups, and options trading. Enjoy! I’ve been involved in the real estate industry for almost 20 years. Like many investors, I got my start buying, selling, renting, and selling single-family homes. After a few years in that space, I moved into multifamily investments and syndicated deals in Alabama, Texas, Oklahoma, and Kentucky. In 2010, I had the opportunity to transition into commercial real estate private equity and became a senior acquisitions officer with a group that has acquired upwards of $5 billion of office, retail, and industrial assets with a focus in the western United States. I came to CrowdStreet in 2014, as the #2 employee, specifically because of my work in CRE (Commercial Real Estate) private equity and have been overseeing the Marketplace ever since. There has been a lot of talk recently about the real estate cycle reaching its end. Does that mean there aren’t any good deals out there? Of course not! That’s analogous to saying that since the stock market has had an amazing run, there are no longer any stocks worth buying. However, a relatively mature real estate cycle does mean that good deals can be more difficult to identify. The CRE market is still so inefficient in many ways, and that means there are always good deals, fair deals, and bad deals out there. Buyers of good deals can leverage those market inefficiencies to their advantage, transacting with a highly motivated seller or an undercapitalized seller, for instance. What do you use as major criteria to decide which sponsors/operators to partner with? Level of experience: We seek to work with experienced operators. These days, the majority of operators we partner with have acquired over $1 billion of commercial real estate. Specialization: Not only must the operators be experienced, but they must also demonstrate a high degree of acumen in the asset class–multifamily, hospitality, industrial, etc.– they are proposing for our consideration. We want to know they have experience delivering on this specific property type. Professionalism: We pay close attention to the quality of the operator’s documents, the accurateness of their models, and the expertise of their legal counsel. Operators who come to the Marketplace must demonstrate a high degree of professionalism because they will be interacting directly with our investor base. Alignment with our Marketplace Structure: Operators we work with have embraced our online model for raising capital and managing investors. We want everyone to be fully bought into the whole process. Other operators, who may be otherwise fantastic companies, but look to a platform like CrowdStreet as they would any other capital markets solution, are not a good fit for our Marketplace. CrowdStreet Marketplace investors are not a commodity–they are quality individuals and the right operators understand they have an opportunity to forge long-standing relationships. 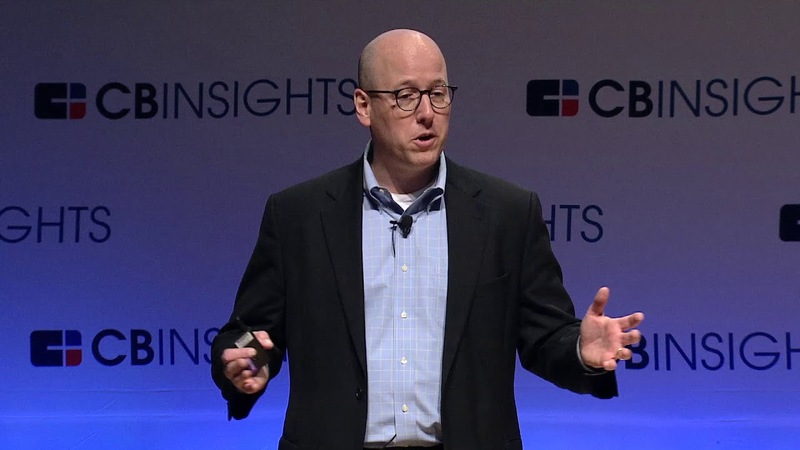 What does it mean to be conservative in your underwriting? Every pro forma, which essentially means the model for a deal of which one of the primary outputs are targeted returns, depends upon dozens of key assumptions to derive anticipated returns. Conservatism in underwriting often boils down to setting those assumptions at realistic and achievable levels rather than aggressive and speculative levels. Take an office building for example. Conservative lease-up assumptions mean assuming that new leases for the first year are at rates that are at or below the most recently executed leases. Conservative also means assuming that no new leasing occurs for 6-12 months. On the flip side, assuming that vacancies will be leased up in under six months, and at rates that have never been achieved at the subject property, may be possible but it’s certainly aggressive. What are the top 3-5 tips that you give investors when they’re trying to do their due diligence on a deal? Number one, it all begins with the Sponsor. Experience counts a lot in CRE and you can’t underestimate the value of working with groups with a lot of experience and know-how under their belt. In addition, the most experienced groups, particularly those with strong long-term track records, seek to zealously protect those track records. Investors should also look for deals where the sponsor is a specialist in the proposed asset. It’s impossible for a sponsor to be great at everything, which is why it is common to see them specialize, often in both region and asset class. They know the nuances, can avoid common pitfalls, and are better equipped to solve the problems are that inherent to that region or asset class. Something else to consider is basis. The adage of “you make money on the buy, you realize it on the sale” often translates to getting good basis –in essence, you are getting the opportunity to buy the asset at a discount relative to the competition. And last but not least, debt. Debt is typically utilized to enhance returns to equity, as well as decrease the total amount of equity required to close a transaction. Typically speaking, the more debt, the higher the returns to equity holders. The flip side of this is that the more debt you use, the more risk of loss you place on the equity. Think of two properties, one that has 80% leverage and one with 60% leverage. If both properties were to fall in value by 10%, the equity holders in the first property have suffered a 50% loss since they are stacked up in the final 20% of the capital stack. The equity holders in the second property, in contrast, have only incurred a 25% loss. Leverage really matters when it comes to downside exposure. What are some of the major red flags to look out for? 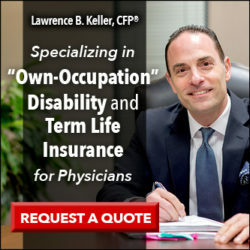 There are numerous red flags that can disqualify an operator or a deal. Unprofessionalism: There’s no easier way for us to decline an operator than receiving documents and models that are riddled with errors. If an operator can’t even correctly articulate the deal, how will they execute their business plan? Overly aggressive assumptions: A pro forma, at its core, is a single best guess as to how the proposed property will perform over the holding period. Therefore, the key in any pro forma is to set the bar at a point where the odds look favorable that the operator will beat its pro forma. When the odds look more likely that the operator will fail to achieve its pro forma, it’s time to adjust assumptions or walk away. Inexperience: There is nothing more perilous for a deal than an operator who simply doesn’t know what they don’t know. For this reason, we look to avoid any scenario where the operator is inexperienced in the asset type and/or its associated business plan. We take the approach of “let the operator make its mistakes elsewhere and then come to us once they have learned their hard lessons”. What are the major ways that CrowdStreet tries to mitigate risk, particularly in this part of the real estate cycle? We are always looking to partner with repeat sponsors. They know our process, we have faith in theirs, and investors like to see the same names popping up. We have a preference towards deals that offer more cash flow and focus less on the equity multiple at the sale. Having a better understanding of the sponsor’s financial strength. We have a preference for longer-term debt wherever the business plan supports it. Regarding asset classes, we have set a higher bar for hotel properties and have prioritized workforce multifamily, self-storage, senior housing, medical office, and mobile home parks–all of which are recession resistant. We take into consideration geographies with stronger and more resilient economies, i.e. those that export an abundance of goods and services in industries that are strong, and are experiencing job and population growth rates that exceed the national average. While there is a lot to know about the technicalities of syndicated deals, what’s important to remember is that professionalism, process, and competence go a long way. Always keep yourself ahead of the curve by knowing exactly how you fit into a potential partnership while avoiding the red flags. Thanks again to Ian Formigle for giving us some insight into what he thinks about every day at work. What was a good takeaway for you from the interview? Find Passive Income Docs on Facebook to continue the discussion. Next articleA Three Fund Portfolio Keeps Getting Cheaper!